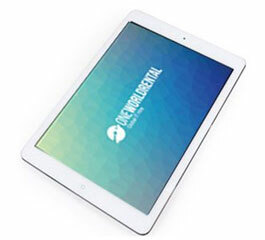 FOR EVENT TECHNOLOGY, IPAD & LAPTOP RENTAL & EVENT STAFFING. One World Rental always have everything you need to hire in stock. One World Rental will provide you with the lowest rental package prices with guaranteed delivery. All our deliveries are managed by our in-house delivery team, providing you with a secure, guaranteed and confident one-to-one service. 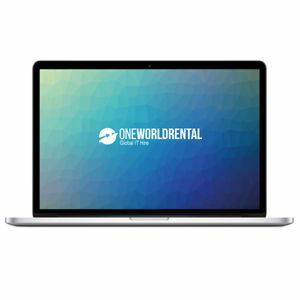 One World rental is privileged to be part of some of the most fascinating corporate events and digital events around the world who are heavily reliant on our prompt deliveries. With this in view our operations protocols simultaneously run a series of back-up solutions and ensures nothing stops us from fulfilling our commitments to you. We foresee and handle any complications such as importation constraints, customs, third party couriers. Our clients benefit from our 24/7 technical support during the rentals process. One World Rental is always just a phone call or email way should you need us for any enquirers. One World Rental will ensure that our clients make the most of their rental package with the additional support of our team. For large events, we would suggest our experienced technical team to be on-site, they will fully manage the installation and removal of equipment, one less thing you need to worry about. One World Rental works with thousands of agencies and directly with Global Fortune 100 clients for a wide range of events in multiple industries. Our client lists cover Banking, Pharma, Medical, Education, Entertainment and Legal industries. One World Rental can meet all corporate requirements including but not limited to: global road shows, exhibitions, training sessions and for a variety of smaller scale events. Visit our client section for more information or feel free to contact us. The One World Rental team is committed to providing you with high quality rental products with prompt worldwide deliveries. One World Rental is Global short-term IT Rentals firm head-quartered in London, UK. We supply iPads and MacBook Pro’s to Windows laptops & fully configured networks systems; One World Rental have high quality stock available in small or large volumes for immediate global deliveries for all your business and corporate events. One world Rental has a consultative approach to every rental request, we understand our client requirements and tailor the rental package in-line with specific business needs. Whether you need 80 iPads and iPad Stands for a small educational event or 1000 iPad’s and for corporate engagements we can supply exactly what you need. We are experts in short-term IT hire locally and worldwide and have global clients who trust us to aid their event. 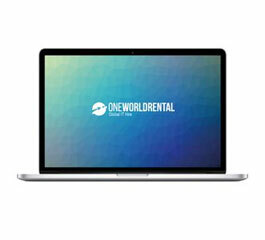 One World Rental is your unique IT rentals partner, no matter how small or large we make even the most impossible deliveries possible. We are the global leading market in stocking the latest range of tablets to rent, notebooks, and rentals for MacBook’s. For over a decade, we have been offering state of the art gadgets and devices IT rentals to various corporate companies and small businesses. We provide short-term hardware and software solutions for conventions, trade shows, meetings, seminars, road shows, special projects and training workshops, in fact we can support any event you wish to host. One World Rental promises that for every client that hires with us the overall process runs smoothly, is completely hassle-free and exceed client expectations. The service you all provided was exemplary / par excellence, Customer service / integrity/ rising to the occasion / having a back up plan, was something extraordinary, which makes your company obtain the highest score on reliability. Thanks for that.